The author, Joyce Meyer is a victim of the physical, mental, emotional, and sexual abuse she suffered as a child. Yet today she has a nationwide ministry of emotional healing to others like herself. 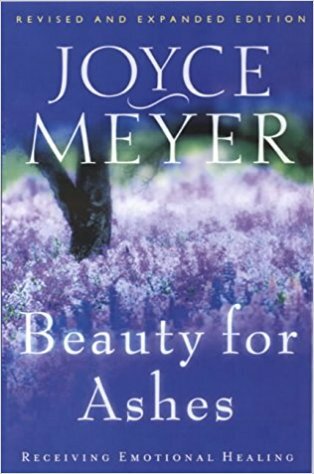 In Beauty for Ashes she outlines major truths that brought healing in her life and describes how other victims of abuse can also experience God's healing in their lives. You will learn: * How to Deal with the Emotional Pain of Abuse * How to Understand Yur Responsibility to God for Overcoming Abuse * Why Victims of Abuse Often Suffer from Other Addictive Behaviors * How to Grab Hold of God's Unconditional Love * The Importance of God's Timing in Working Through Painful Memories.